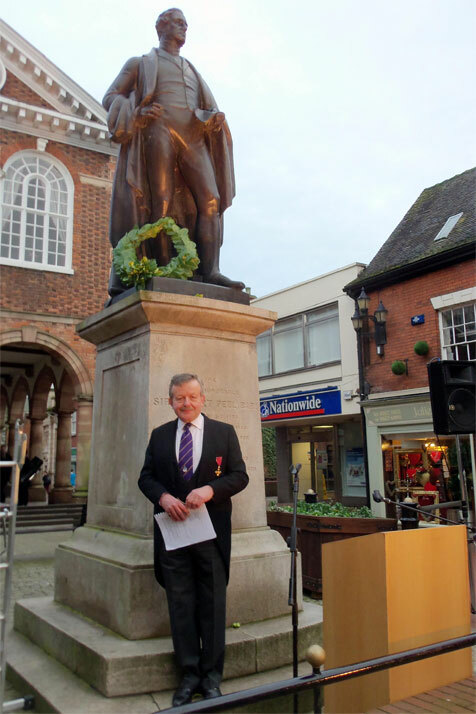 Alistair Lexden opened the Peel Society's History Fair in Tamworth on 8 June 2014. 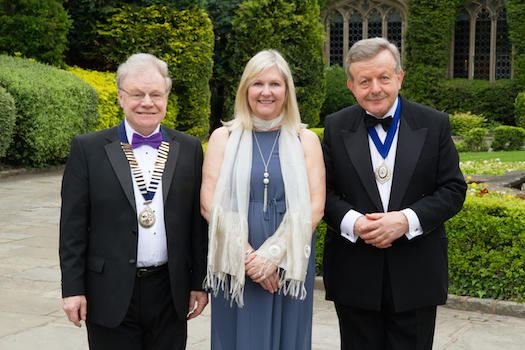 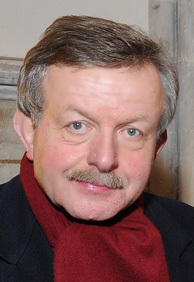 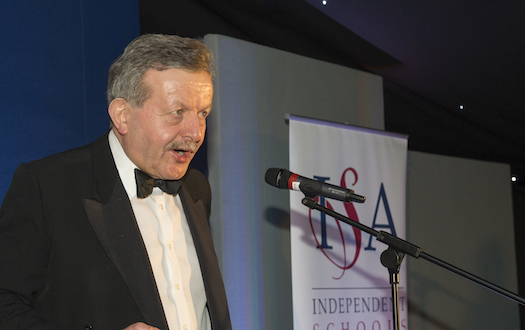 Alistair Lexden, President of the Independent Schools Association, attended its annual conference at the Coombe Abbey Hotel, Warwickshire, 15-17 May 2014. 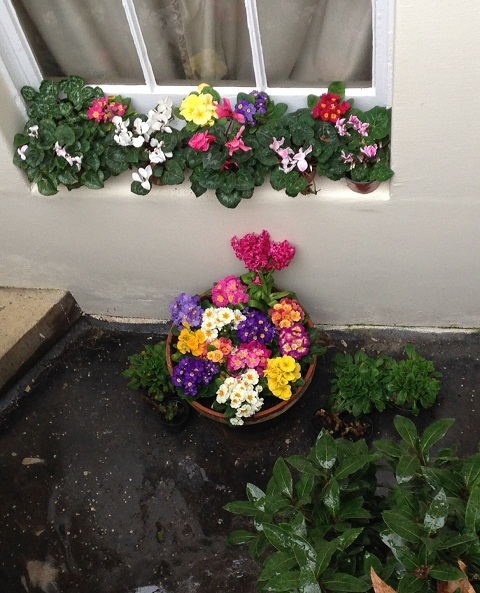 As befitting the historian of the Primrose League, Alistair Lexden displays primroses outside his flat in Pimlico. 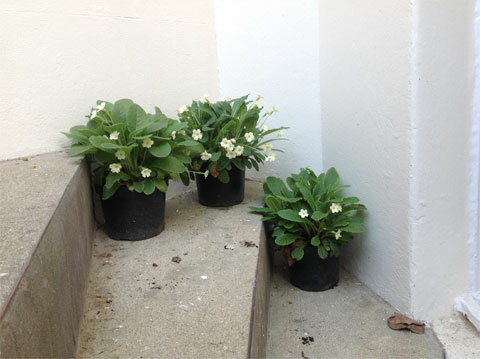 This picture was taken to mark the approach of Primrose Day on April 19. 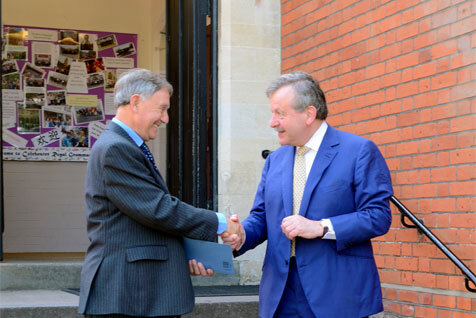 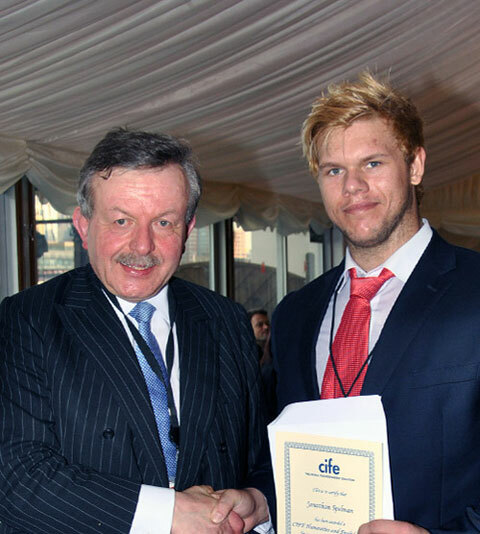 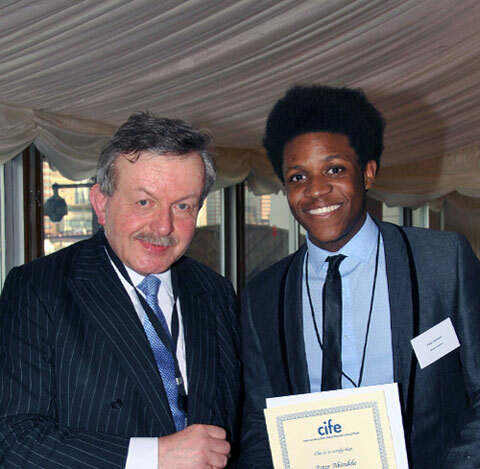 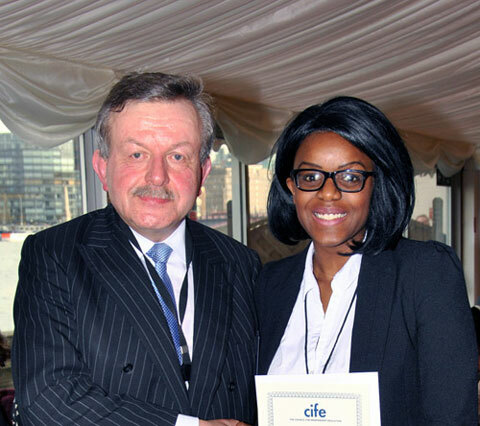 Lord Lexden presents awards to students of colleges belonging to the Council for Independent Education. 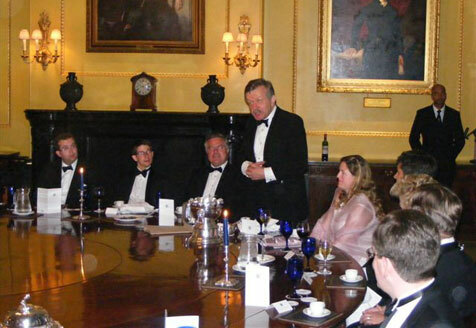 Alistair in the newly opened Thatcher Room at the Carlton Club on November 25. 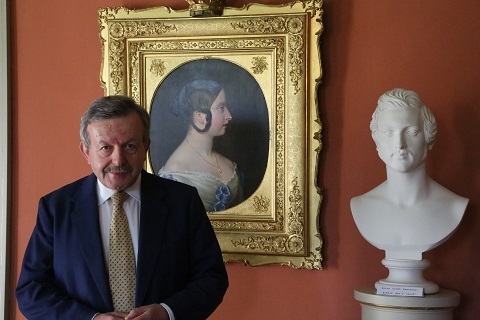 A portrait of Henry St John, Viscount Bolingbroke, controversial Tory leader at the beginning of the 18th century, is behind him. 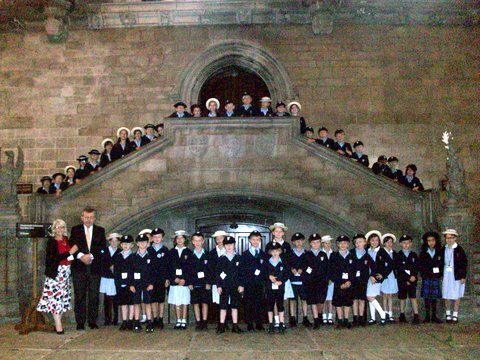 Alistair Lexden in Westminster Hall on September 16 with children from the Mead School, Tunbridge Wells and their headmistress. 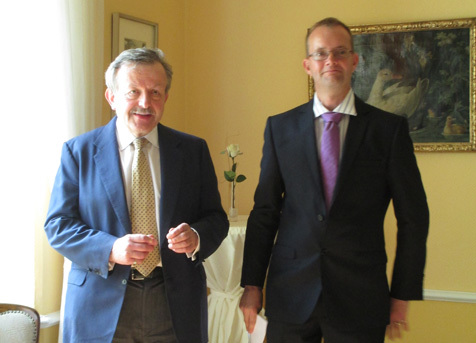 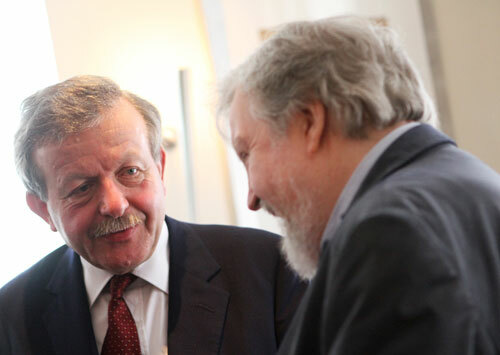 Lord Lexden with fellow keynote speaker, Professor John Davis of Kingston-on-Thames University. 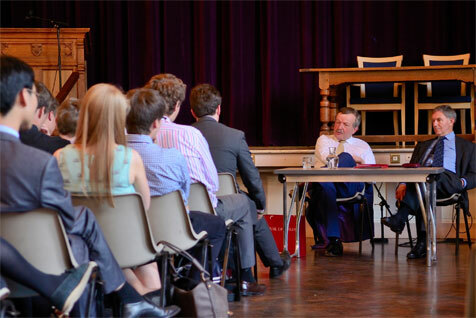 Visits to schools throughout the country are organised by the office of the Lord Speaker. 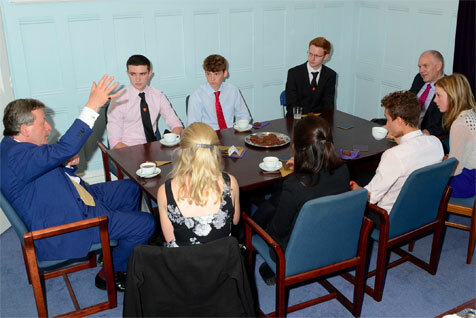 On July 17 Alistair Lexden addressed a group of around 150 sixth-formers at the Colchester Royal Grammar School which is in Lexden, his birthplace. 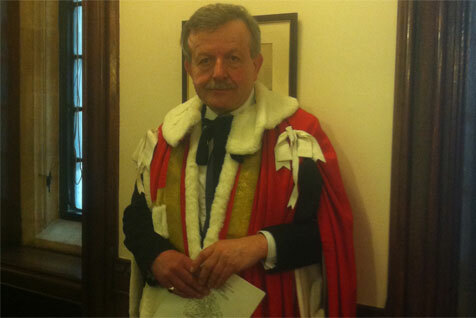 He spoke about the role and work of the House of Lords - and answered a succession of lively questions. 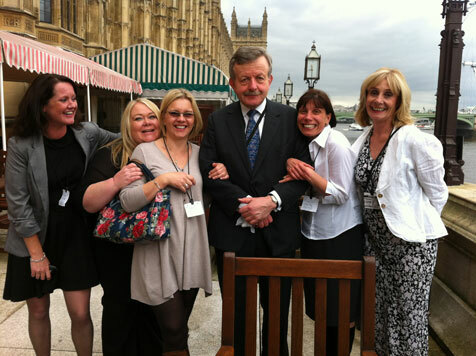 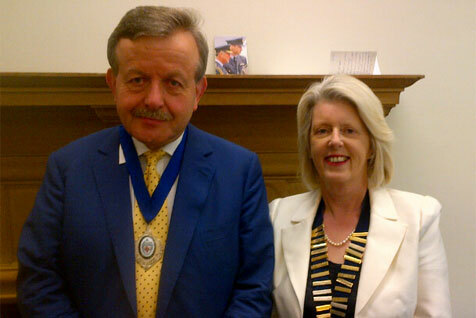 A photo of Lord Lexden with Angela Culley, the current Chairman. 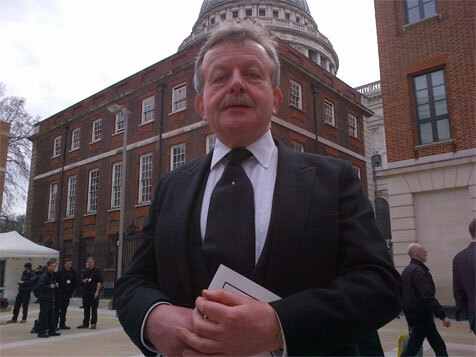 Alistair was invited to the funeral of Lady Thatcher at St. Paul's Cathedral. 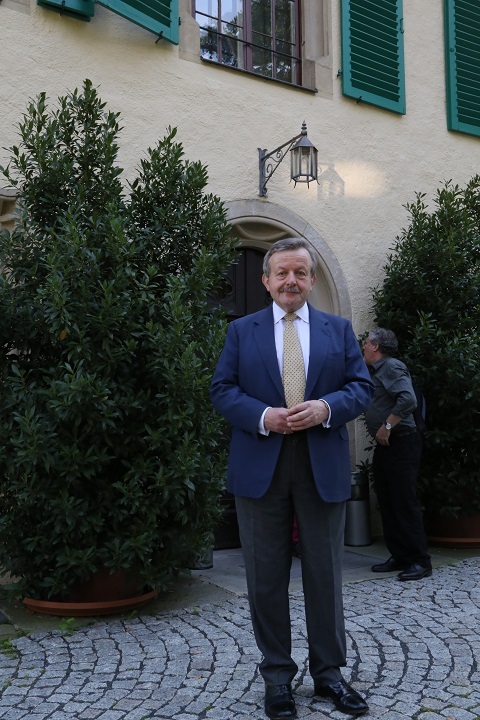 This photo was taken after the service. 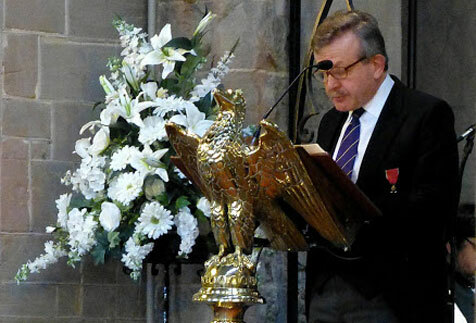 As the Conservative Party's official historian, he was one of the leading figures--drawn from the government, party, police and Church of England along with Peel's descendants--who formed part of a congregation of some 300 at the parish church in Tamworth (where Peel was MP). 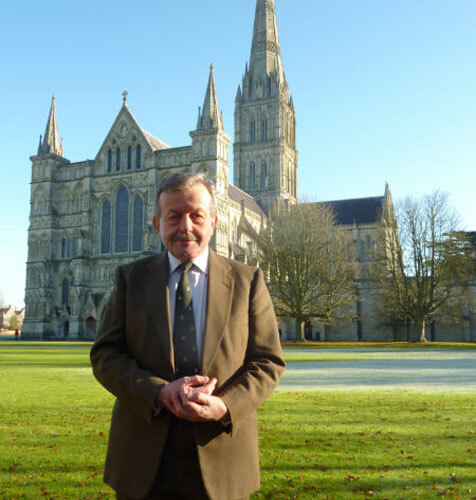 Lord Lexden visited Salisbury on November 18 where he was photographed outside the Cathedral and at Old Sarum (background of second picture), the most notorious rotten borough in England where 11 electors returned two MPs to Parliament until the 1832 Reform Act. 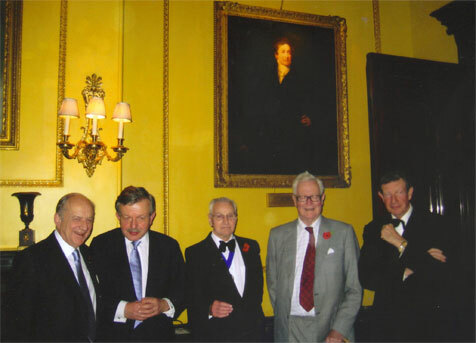 Pictured at the Carlton Club and Peel Society joint dinner on 1 November 2012 under a famous portrait of Sir Robert Peel by Lawrence, left to right: Lord Cope of Berkeley (former Club Chairman), Lord Lexden, Norman Biggs (Chairman of the Peel Society), Lord Hurd, and the Earl Peel (Lord Chamberlain and a direct descendant of the Prime Minister). 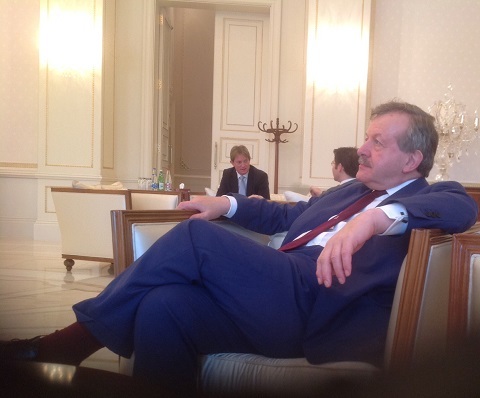 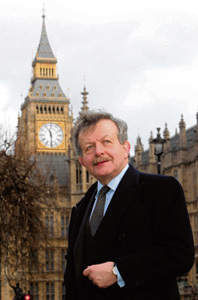 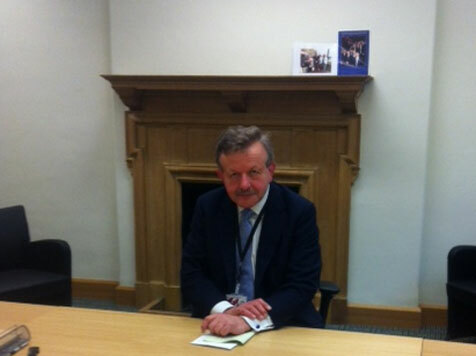 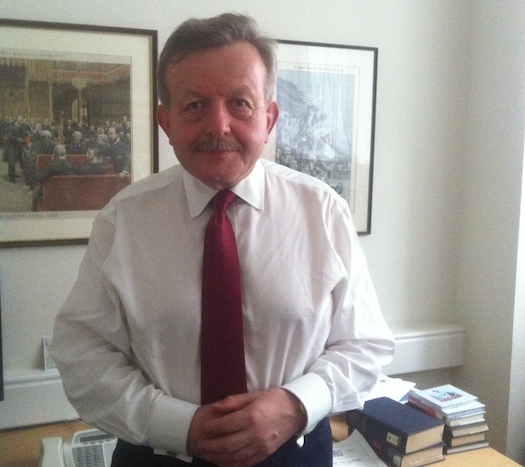 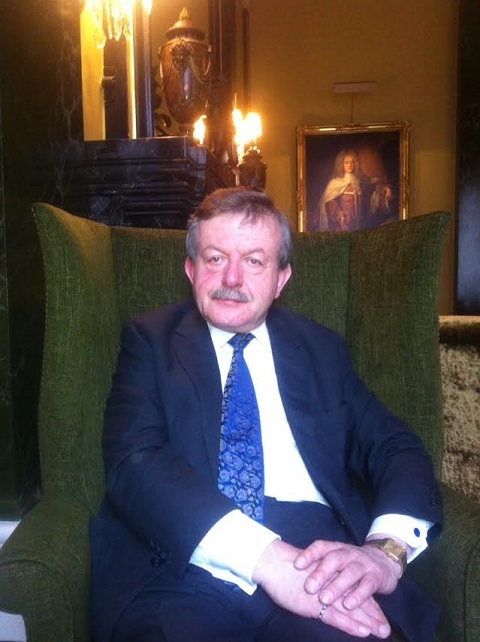 Lord Lexden in his office at Millbank House, across the road from the House of Lords, on 15 October 2012. 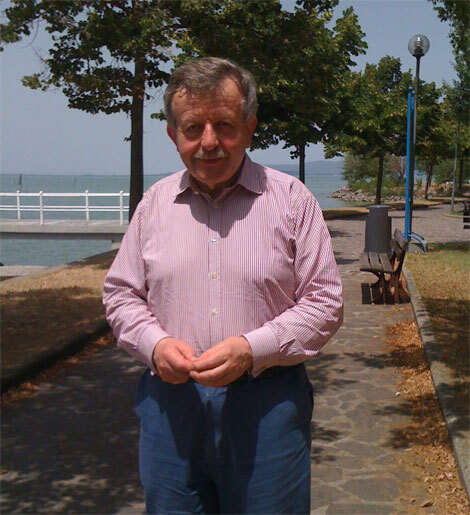 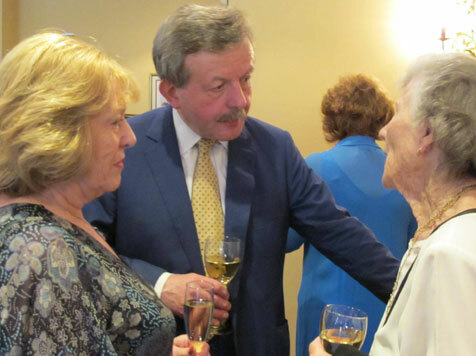 Lord Lexden was invited to Spain on 26 September to speak to the Conservatives Abroad Costa del Sol Branch. 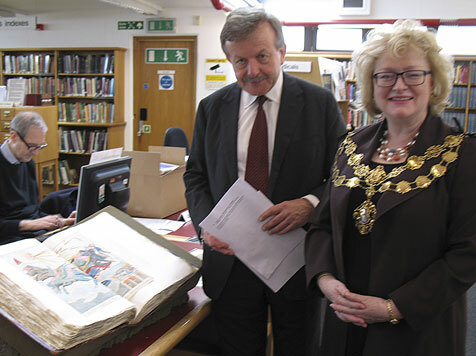 Lord Lexden and the Lord Mayor, Angela Harvey, visited the Westminster Archives Centre on 21 September to review the political cartoons collection. 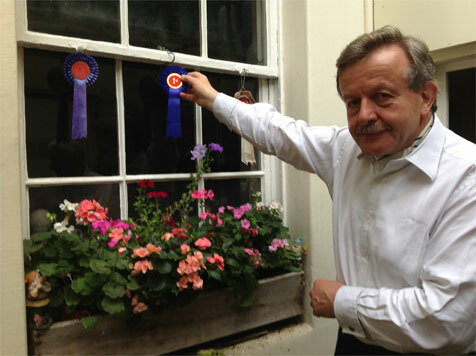 Lord Lexden outside his flat in St George's Square, Pimlico on 23 August when he was awarded the rosette for the best window-box in the Square for the third time. 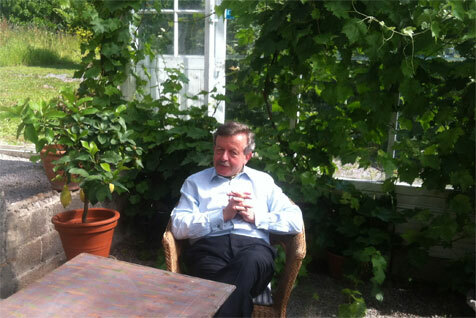 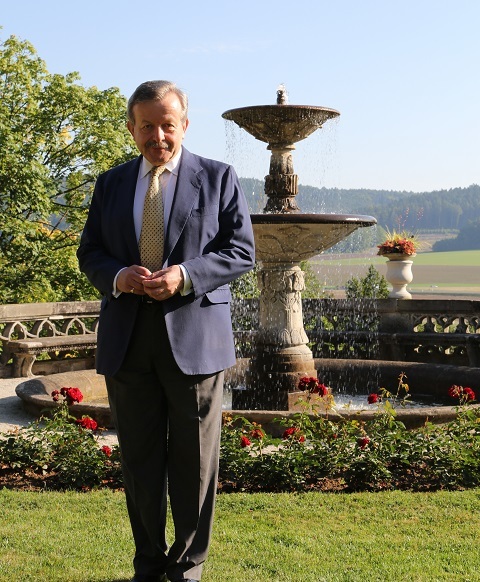 Lord Lexden relaxing in Tuscany which he visited over the weekend beginning June 29 in order to attend a music festival. 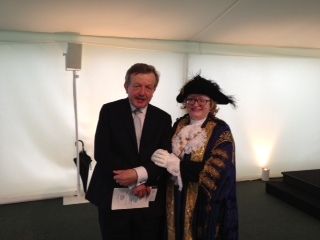 Lord Lexden attended Westminster City Council's Civic Service in Westminster Abbey on July 8 and is photographed with the new Lord Mayor. 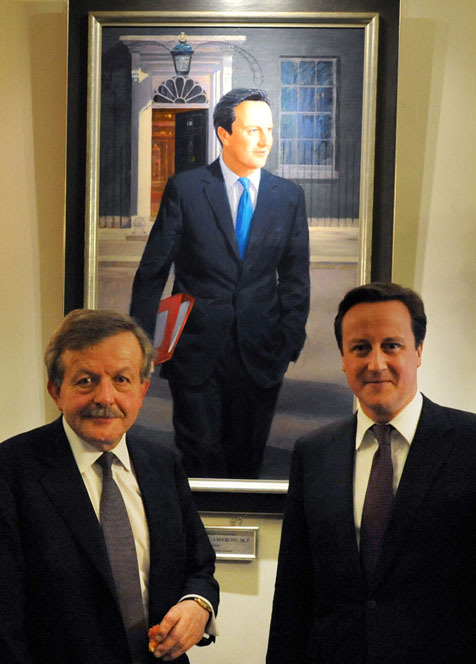 On 13th December Prime Minister David Cameron unveiled his portrait at the Carlton in the presence of the Club historian and others. 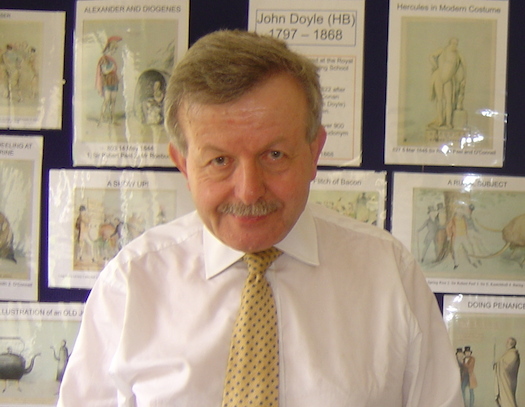 The portrait was painted by Johnny Jonas. 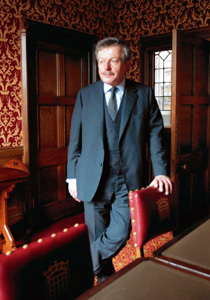 It joins those of all previous Conservative Prime Ministers since the Duke of Wellington. 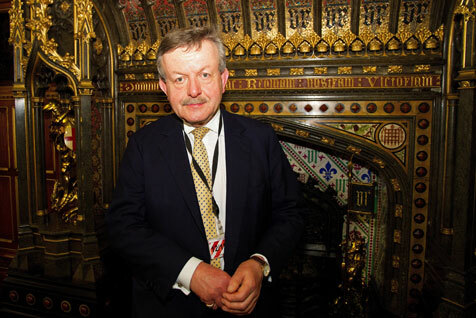 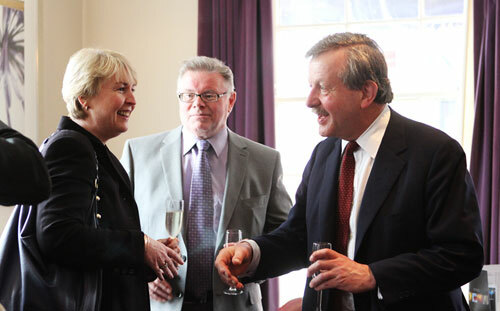 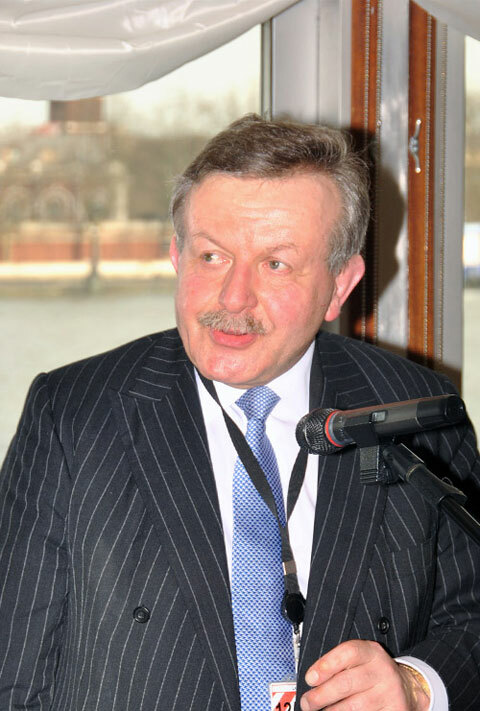 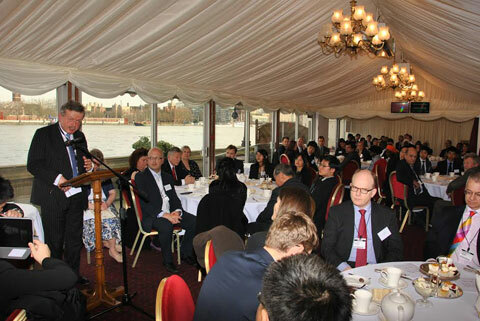 Lord Lexden, Vice-President of the Council of British International Schools, hosted a reception in the House of Lords. 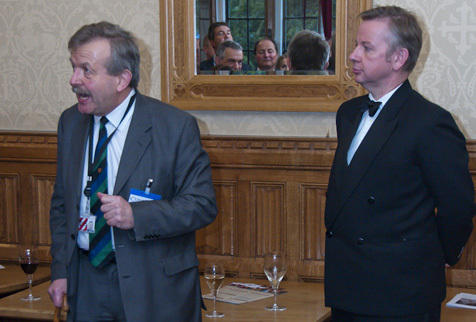 Michael Gove, Secretary of State for Education, was the guest of honour. 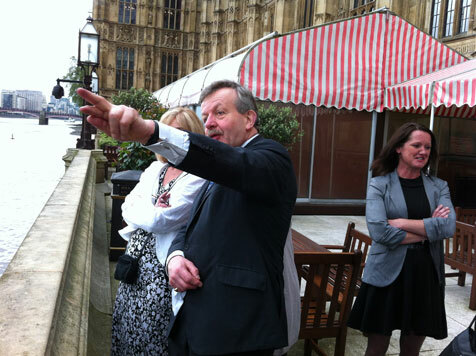 With thanks to Luke Dixon for providing the photo. 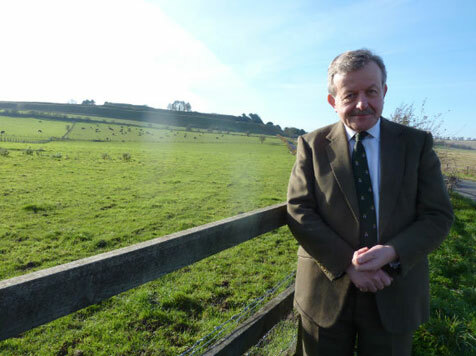 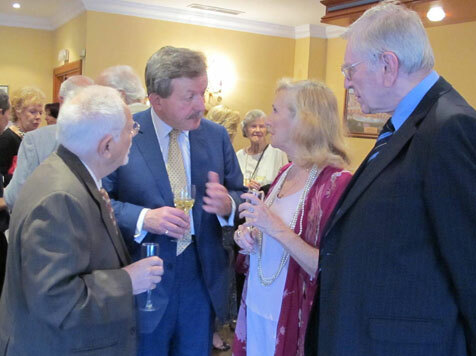 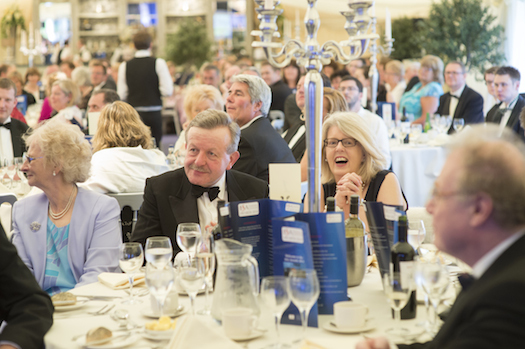 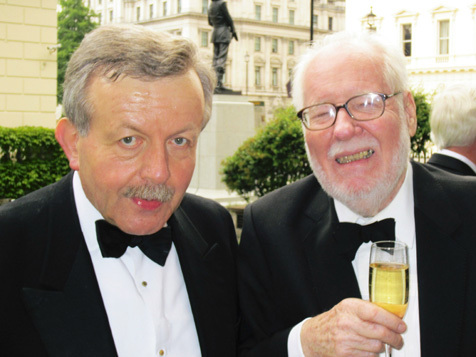 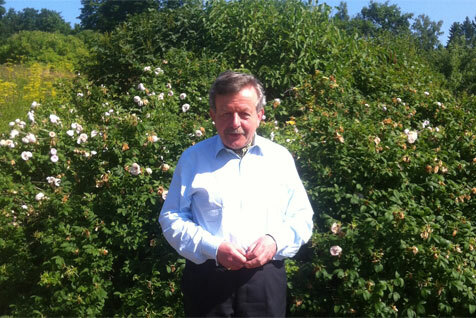 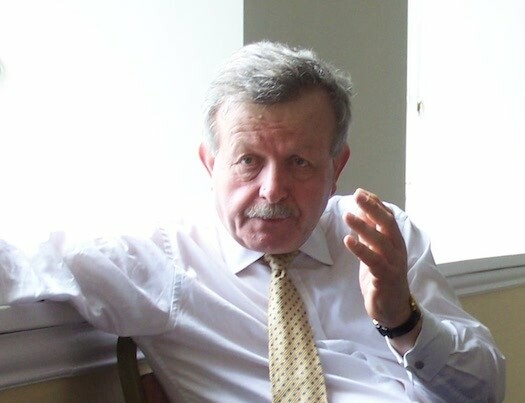 Lord Lexden, the official Conservative Party historian, was a guest at a dinner party held on 10 June to celebrate the 80th birthday of Richard Shannon, an old friend who is Emeritus Professor of History at the University of Swansea. 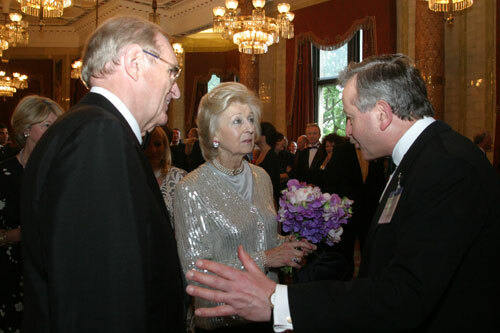 The dinner at the Athenaeum Club in London was preceded by drinks in the Club's garden. 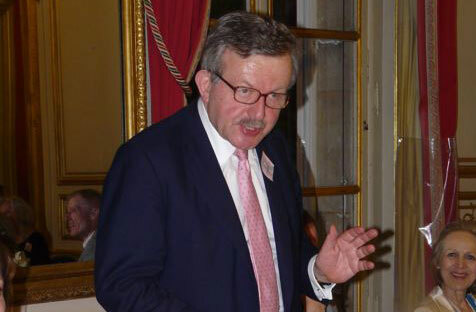 Lord Lexden’s speech provided the basis for a lively discussion of constitutional and other issues raised by members of the Association. 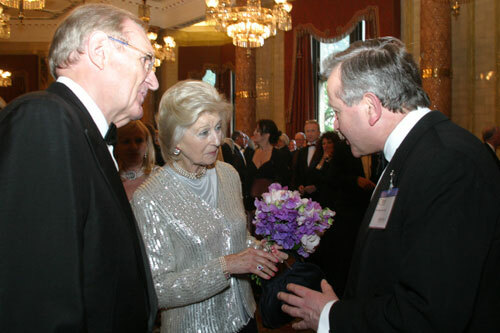 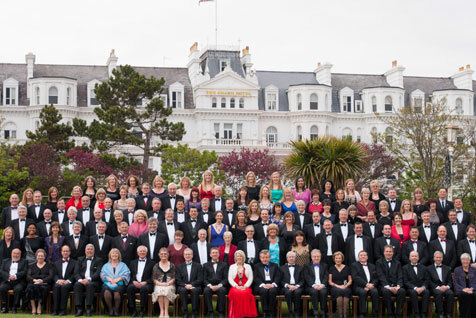 Lord Lexden was one of the principal guests at the annual dinner in London of the British Council of International Schools (COBIS) with HRH Princess Alexandra. 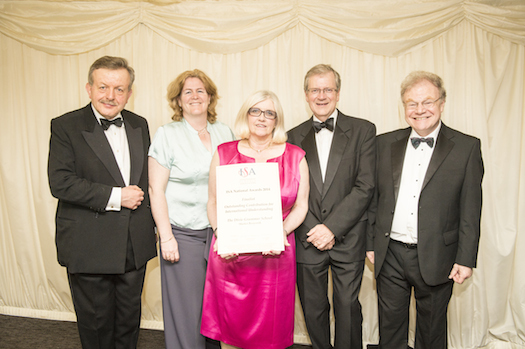 With thanks to Harrison Photography for providing the image. 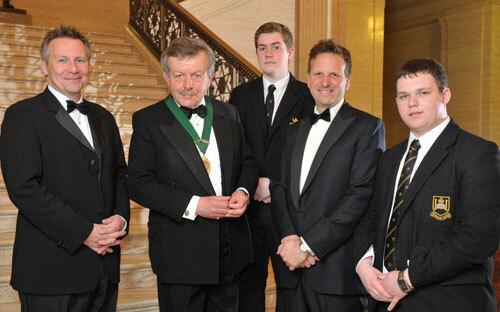 Click here for more information on the competition. 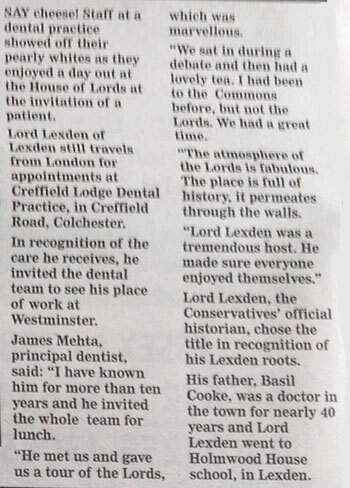 To celebrate Lord Lexden's recent elevation to the peerage. 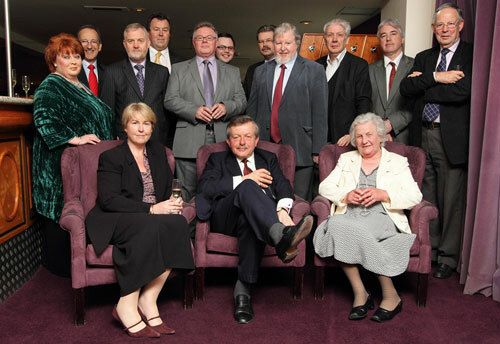 With thanks to Brendan Gallagher Photography. 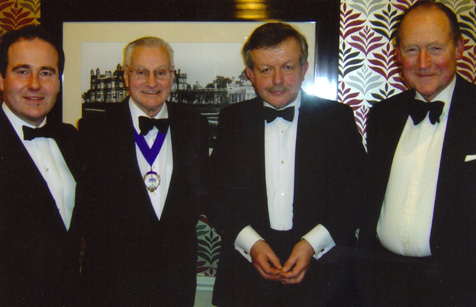 Taken at Drayton Manor Park on 25th February, 2011, at The Peel Society Annual Banquet. 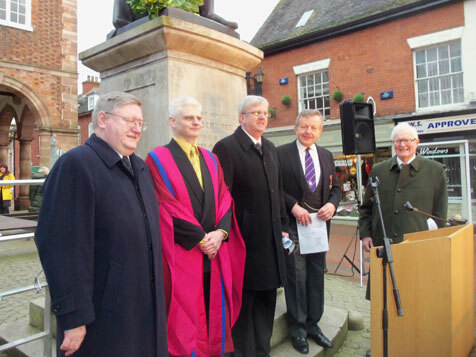 It shows left to right Christopher Pincher, MP for Tamworth; Mr. Norman Biggs, Chairman of The Peel Society; Lord Lexden; Mr. Robin Thorne, great great grandson of Prime Minister Peel.